The area I placed my new staging yards is on the “dark side” of the room. I figured I could lighten it for the operators by putting in an 8" shelf (where I could also display my Lionel 1:120 (TT) models) and using an LED strip on the shelf bottom. I placed it below my eye level so the lights wouldn’t bother me but I may have to put a very small (1/4”) valence to assist my more height challenged operators. Here's a long-term project I've been working on. Everything is temporarily placed right now. There's still much more to do to make this work, like electrical pickup. They are in a shared Google album. Can anyone see the pictures? I can see Rick's pics just fine. Like the rolling hills background. Are they painted and then moss or green foam glued to it??? rickb773, pictures are good with the link but they don't show in your post. Get a European Do Not Enter symbol. Did some scenery. Here's a comparison between the 3-D scenery at Placerville and the 2-D photo backdrop. The photo backdrop has a ground=up perspective; the rock strata are actually ground-parallel and not folded. It looks pretty continuous in person so I'm happy. Attempting Canadian prototype modelling in New Zealand. Thin plywood painted with Woodland Scenics dark and medium green extra course turf added. WS doesn't make that anymore so I am having difficulty finding more of it. Decided to "clear the decks" of a few projects and (try) to minimize the number of things in process at any given time. I started the RI caboose few years ago and poked at it bit by bit. These cabooses were so goofy looking (ugly?) that when I found drawings of them online, I took it as a sign to build one. 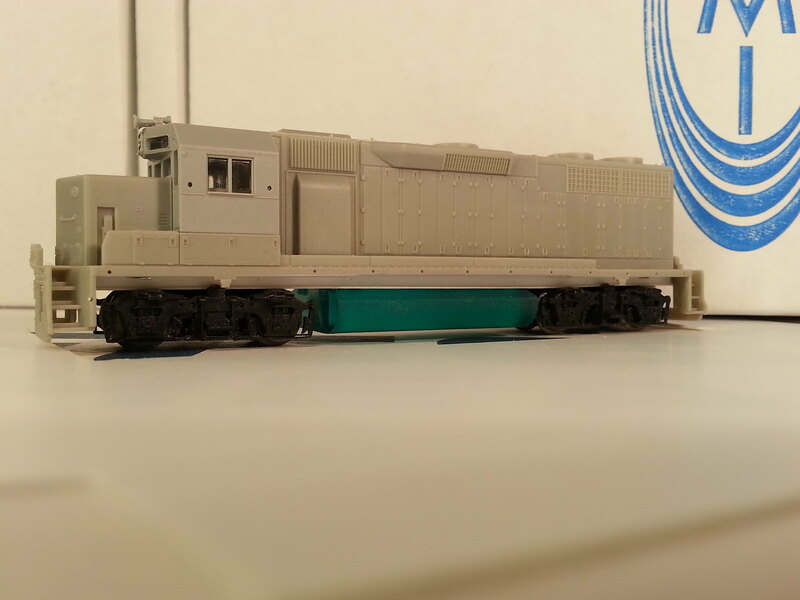 The boxcar is a Rocket Express resin kit with a few minor modifications. 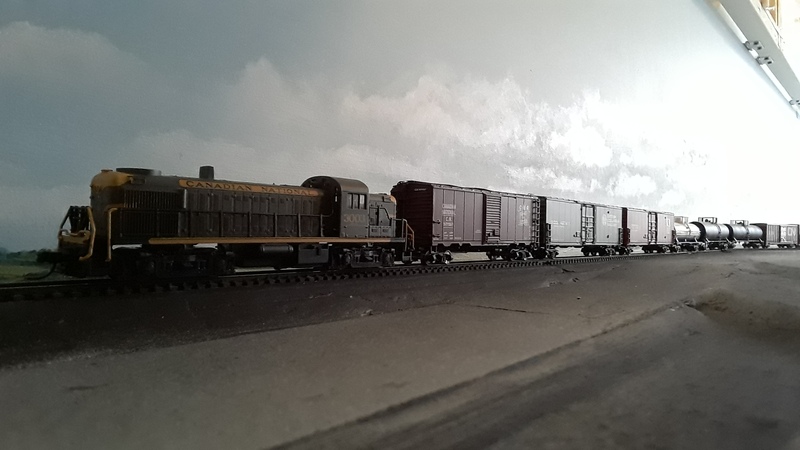 Now I need some Rock Island motive power to pull them around, Im thinking about maybe kitbashing a RS2m to go with these.